I am amazed discovering the various ways that we can use paper to make jewelry. Not only jewelry, paper can be used to make picture frames to hair accessories . 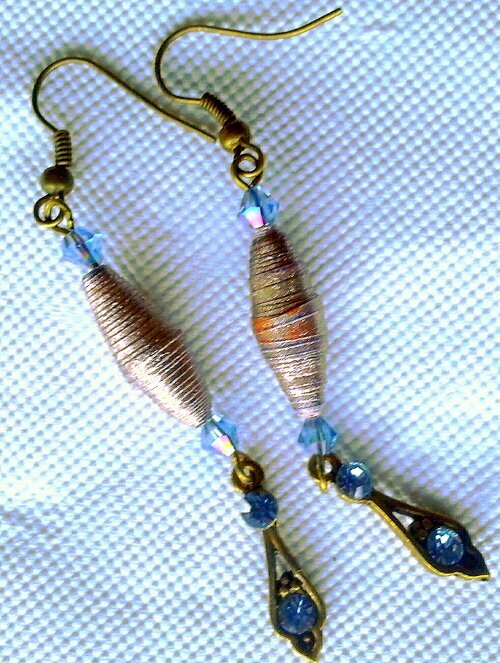 Paper beads as well can be made is more than just rolling . 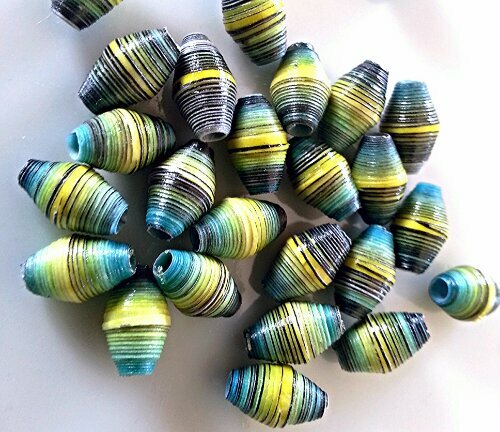 There is paper mache method, weaving method etc..
Paper beads made using paper mache technique is quite easy as well. Then there is wavy cut method to make paper beads too. Same as rolling method, just how you cut the paper is different in this method . Also you can make paper beads using regular quilling method too. Most important thing is to seal the paper bead using a good sealer irrespective of what method we use to make paper beads.. I guess the only limitation is imagination. Paper bead making truly amazes me! !